Transport of batteries is subject to several regulations. Transportation on road is still the most relevant mode of transport and has led to specific international agreements, which are partly integrated in national legislation. They describe transportation rules and minimum packaging requirements. 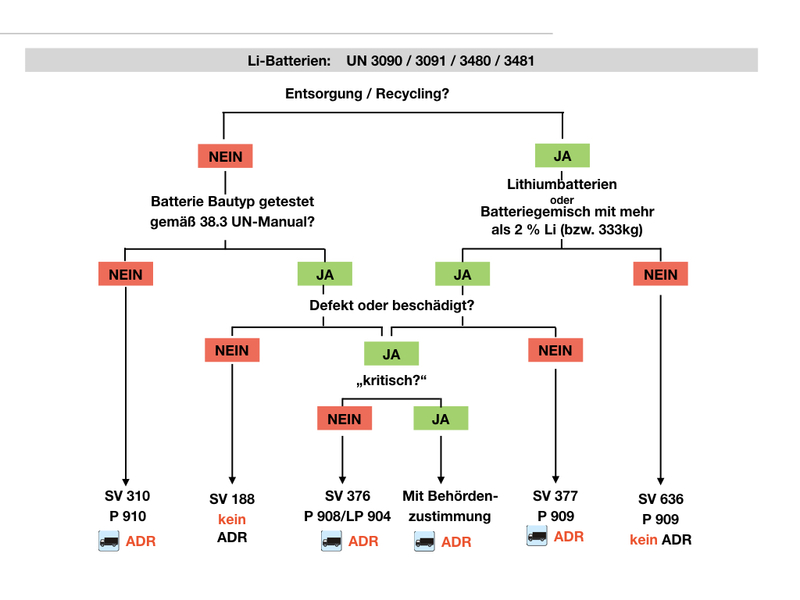 If you want to transport Lithium batteries on road according to ADR*, the following decision tree for Lithium batteries supports in finding the correct minimum packaging requirements and special transportation provisions. Beside this legislation Accurec has scientifically tested the best practical options for the packaging of Lithium batteries and transportation. It can be downloaded as an abstract on our download section.